The stars aligned for me with this recipe. 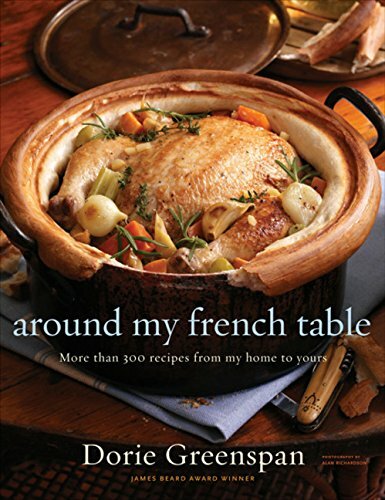 I was able to find something close to the fromage blanc called for in the recipe. I didn’t relish the idea of taking the time to drain ricotta. 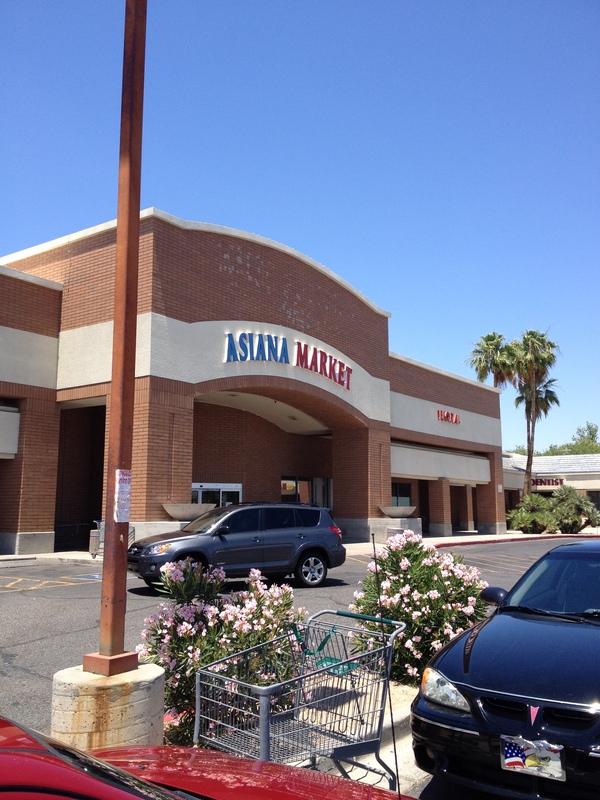 But there’s a fantastic market near my work, called Asiana Market. It’s an interesting mix of Asian (from Japanese to Indian) and Northern European. I always have fun going there, especially with friends because I always find new things to try! Amazing Hungarian sausages, seasonings in odd packages, fresh noodles, vegetables I can’t find anywhere else… the list goes on. It’s not fancy to look at,but it very much reminds me of markets I’ve been to in other parts of the world – so a great escape. I thought that I’d remembered seeing some fresh cheeses, so when I stopped in, I bought some Farmer’s Cheese that’s actually made in PA. I guess that there are different types, but this one seemed to be a soft consistency, so I thought I’d try it. The remaining ingredients are herbs (fresh from the garden up north), shallots, garlic, a bit of olive oil & vinegar and salt and pepper. I usually just gather whatever herbs look good – I decided that it was in keeping with the general idea. I had winter savory, sage, rosemary, mint, parsley and chives. No tarragon, but I hoped that the others would be nice combination. And this is my new cool tool for garlic. It does a nice job of mincing and it’s super easy to use and clean. Everything is simply mixed together and seasoned. Then it needs to chill for a bit. I did find that that made the flavors work together better. Also, the vinegar mellowed and really added to the combination. Dorie suggests serving the cheese alongside vegetables, which turned out to be very good. Each type of vegetable brought out different flavors in the cheese. The same with crackers. And my friends thought that something simple, that had a bit of salt was perfect – though again, it just ended up tasting a bit different. I will definitely make this again. Different herbs and seasonings would definitely change it up – I’m sure Dorie’s original tarragon would be great, but fresh basil… that would be good too. Plus, I felt a little virtuous, with the whole combination. Flavorful, but also good-for-you. Posted on May 25, 2012 by dulceshomePosted in Appetizer, French Fridays with DorieTagged cheese, herbs. That cheese looks really good! I went with the ricotta because I barely had time to shop around and used basil from the balcony. Your tasting party sounds like a great idea! 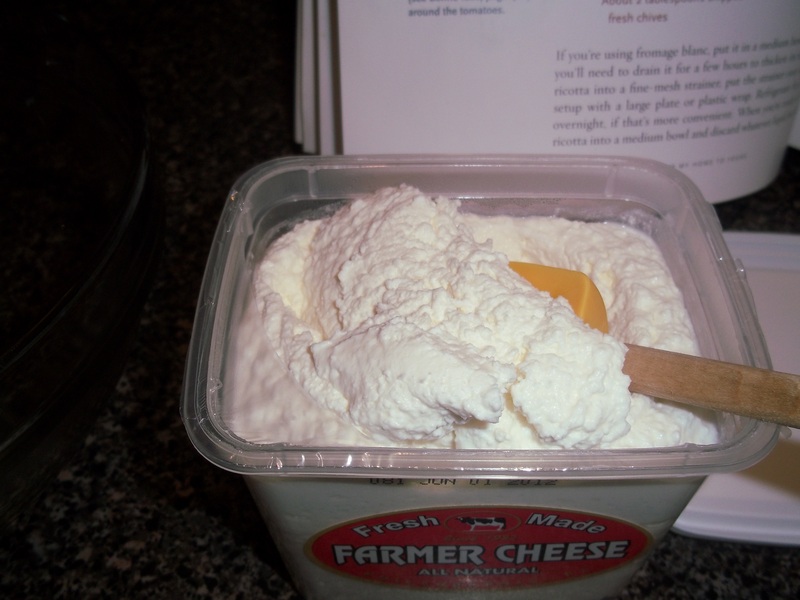 I would not have thought to use Farmer’s cheese – we can t get fromage blanc around here, but farmer’s cheese is in most stores. Very lovely! And I like your new garlic tool. blanc. I love that garlic tool, is that what it really is? It is a garlic “press”. Much easier to clean up. And works well too. Good idea on the cheese! I wish I’d thought of something better than ricotta…just a little flavor or character. Love your new garlic press…don’t you love a new gadget now and then? Fun post. 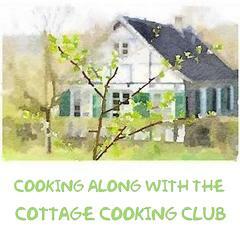 Have a lovely weekend…hope you have lots of fun with food and family or friends. Very nice and interesting post with great photos – I love that new tool of yours, the “garlic press”. 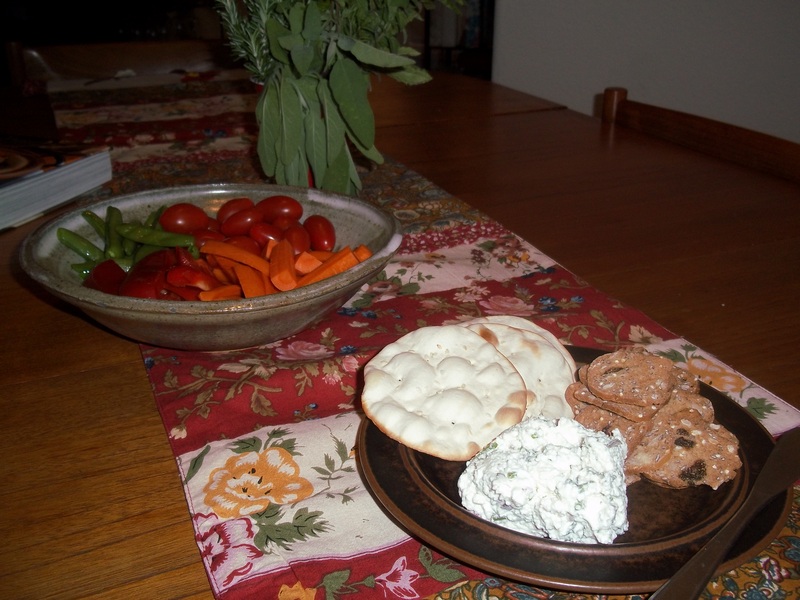 I am glad that you enjoyed this Herb Cheese, it is nice to try out different herbs with this spread, I agree. 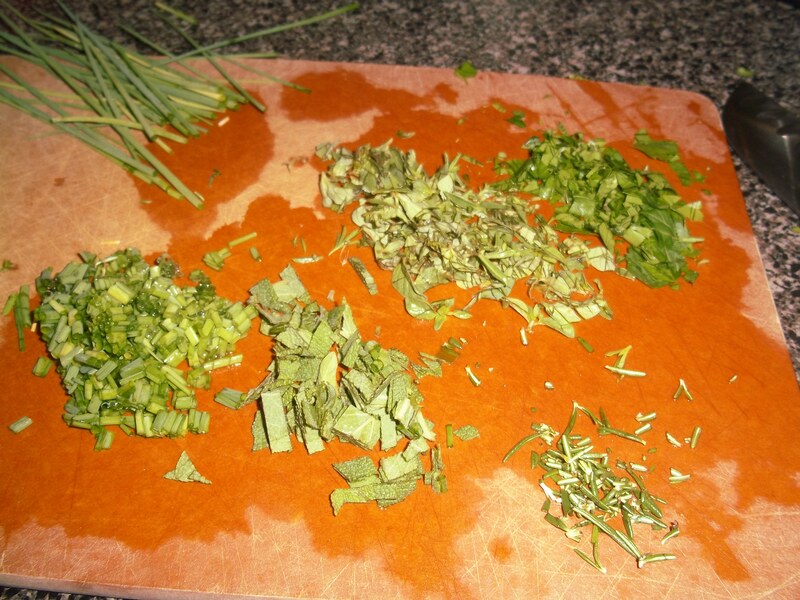 So glad you enjoyed…maybe I would have liked this better with different and more herbs. Love you garlic mincer. 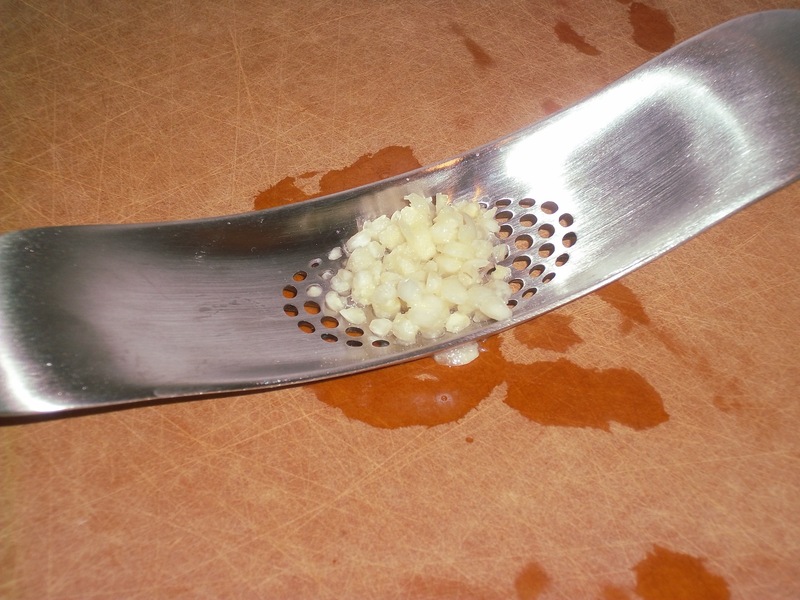 My hubby curses whenever I use our garlic press…what a nightmare to clean! 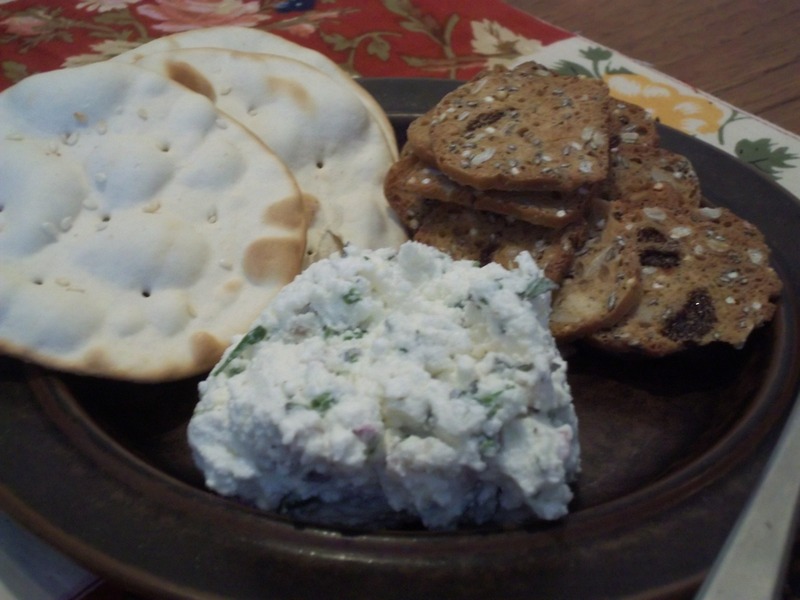 So delicious looking…I really enjoyed this one with veggies and pita chips! I plan on serving it tomorrow for a Memorial Day get together! 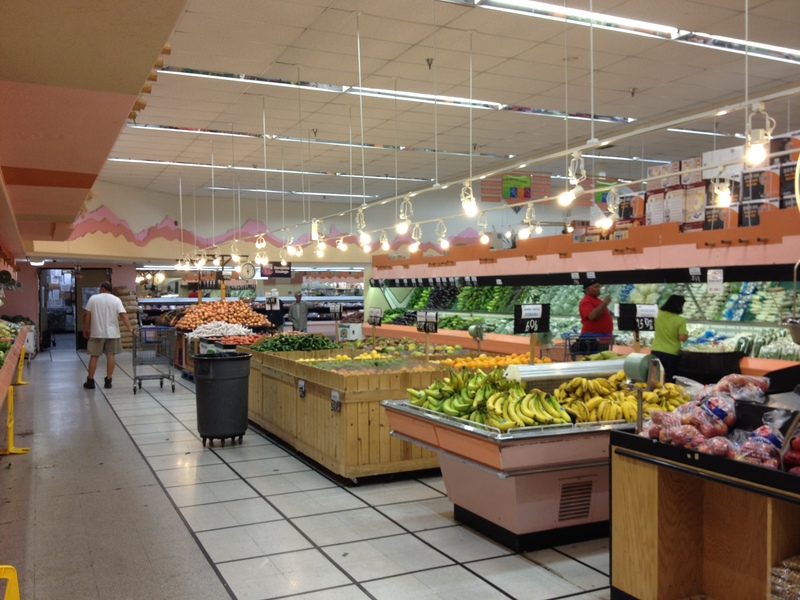 What a great looking market place…I’d love browsing that for a few hours! have a great weekend! Yum! I really enjoyed this too, I love the adaptability of it also! Great idea with the cheese. I have some Asian markets around me, I will have to check them out. Glad this sparked such great memories for you! What a fun market to have nearby! 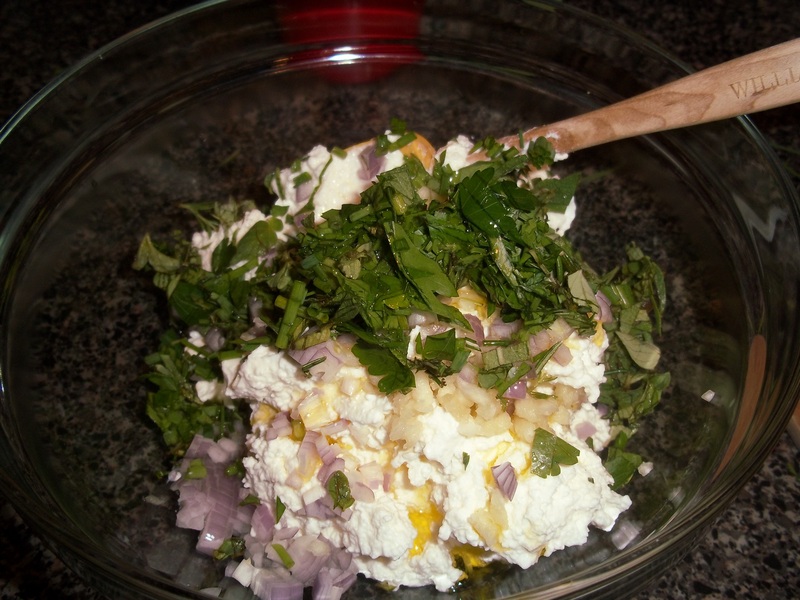 I think a cheese other than ricotta would lend more flavor to this, but agree it’s a great base for any number of herbs. Enjoy your weekend. 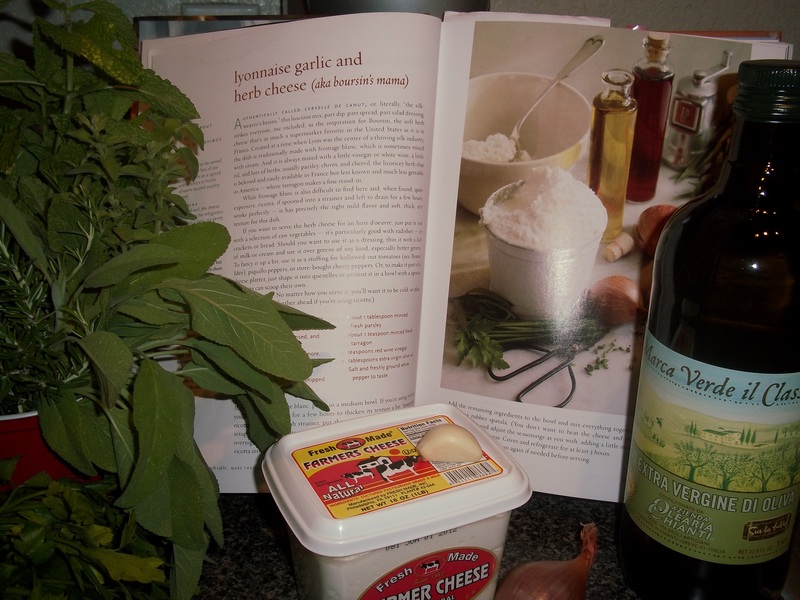 I think your many herbs only contributed to the flavor of the herb cheese. And, just buying a soft farmers cheese (good that it was local) was a very, very good idea. I thought my spread needed some more punch and I think if I’d used more herbs and seasoning, I would have been happier with the end product. Love that garlic press. Very modern. I want one of those presses! I like your garlic mincer – i need to get me one of those. Glad you enjoyed this week’s recipe. Candy, what a great find with that market. I would probably get lost and spend hours in it. Your spread looks so tasty. Savory is an herb that I have not tried yet and I don’t really see it in the stores, but I have seen it at the nurseries so I think I will buy a plant to add to my herb garden just so I can taste it. Your garlic gadget looks like a great tool. I hope you are having fun weekend in Utah! I like that you used farmer’s cheese. I always think it’s sort of like ricotta but with much tinier curds. Nice texture. Your spread looks like a success. The crackers look tasty too. Have fun in Utah. Sure sounds good to me . I’ll have to try it. Looks yummy! I love going to different food markets and this one near you sounds fab! I also love your garlic mincer!